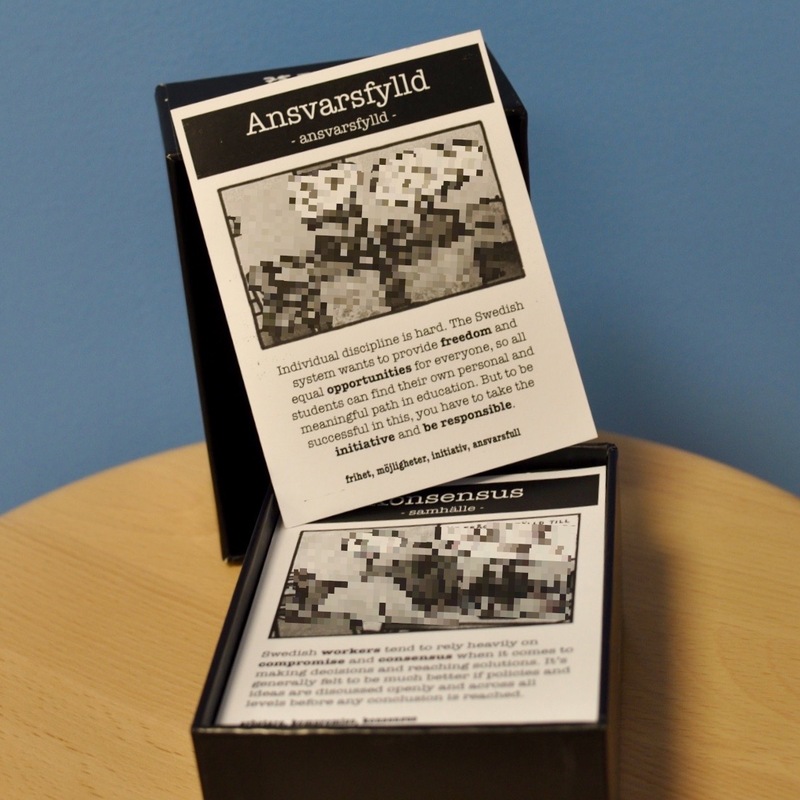 An innovative game that teaches Swedish cultural concepts to foreigners. Learning a new language in a foreign culture is often a monumental task for immigrants. It leads to high language course drop-out rates and problems with integration. And Sweden is no exception. What can we do about it? We say that learning of the language should be closely intertwined with an understanding of the culture. 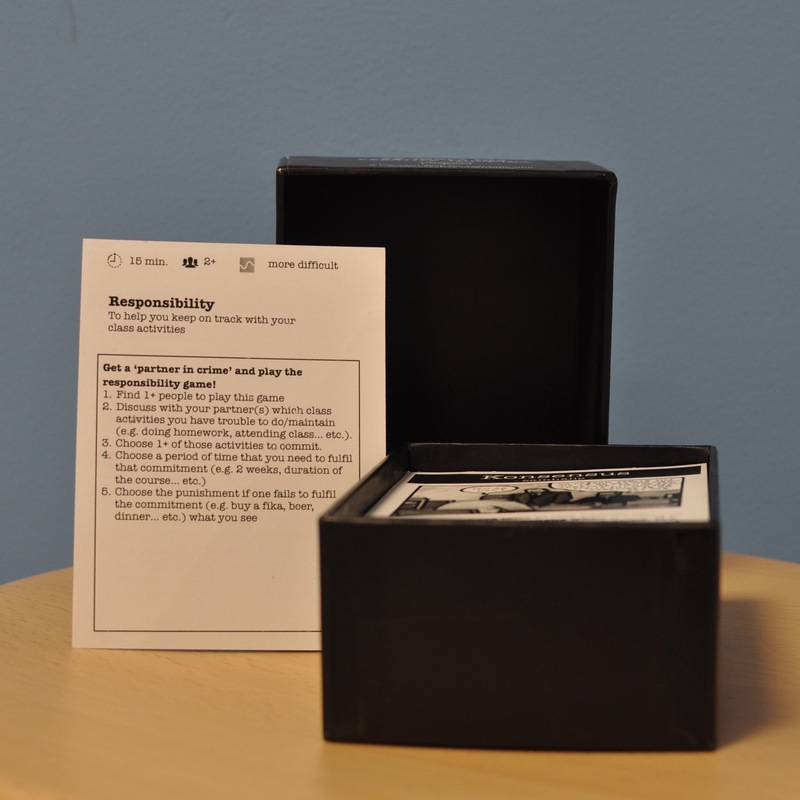 To tackle this issue we developed a card-game, to be used during a language course, that introduces Swedish cultural concepts and norms to immigrants. By doing this we bridge the gap between the language course and the people who are trying to master the language. There are 25 cards and every card has a short and fun introduction to a prominent Swedish cultural concept, for example like “konsensus, lagom, fika or equality”. All the cards are illustrated with a cartoon from a Swedish artist. One example of a card is a “Fika Spelet”. To play this game, two players team up and agree that both of them will do part of their homework. The one that doesn’t complete the homework takes the other player for fika. This card helps students to keep doing their homework, but also introduces the concept of enjoying a fika together.